A quick reminder about our May meeting, this Thursday at 7 pm. If you’re looking for something cool to do with the kids on a hot day or entertaining out of town guests, try visiting one of our local museums. David Mickenburg, executive director of the Taubman Museum of Art, and Jeanne Bollendor, executive director of the History Museum of Western Virginia and the O. Winston Link Museum, will be speaking at our next meeting, and will fill us in on the latest at their respective organizations. Join us at 7:00pm on Thursday, May 12 for a discussion about some great places to visit right here in Roanoke. 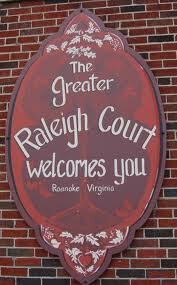 Location: Raleigh Court Child Development Center, formerly Raleigh Court Elementary School, off Grandin Road. This entry was posted on Monday, May 9th, 2011 at 7:51 pm and is filed under Uncategorized. You can follow any responses to this entry through the RSS 2.0 feed. You can leave a response, or trackback from your own site.